Adams, Simon. Leicester and the Court: Essays in Elizabethan Politics. Manchester, Manchester University Press, 2002. ISBN 0-7190-5325-0. .
Black, J. B.. The Reign of Elizabeth: 1558 – 1603. Oxford, Clarendon, 1945, . OCLC 5077207. .
Chamberlin, Frederick. Elizabeth and Leycester. Dodd, Mead & Co., 1939. .
Collinson, Patrick. Elizabeth I. Oxford, Oxford University Press, 2007. ISBN 978-0-19-921356-6. .
Croft, Pauline. King James. Basingstoke and New York, Palgrave Macmillan, 2003. ISBN 0-333-61395-3. .
Davenport, Cyril. English Embroidered Bookbindings. London, Kegan Paul, Trench, Trübner and Co., 1899. OCLC 705685. .
Dobson, Michael. Elizabeth's Legacy. // Elizabeth: The Exhibition at the National Maritime Museum. London, Chatto and Windus, 2003. ISBN 0-7011-7476-5. .
Doran, Susan. Monarchy and Matrimony: The Courtships of Elizabeth I. London, Routledge, 1996. ISBN 0-415-11969-3. .
Doran, Susan. Queen Elizabeth I. London, British Library, 2003. ISBN 0-7123-4802-6. .
Doran, Susan. The Queen's Suitors and the Problem of the Succession. // Elizabeth: The Exhibition at the National Maritime Museum. London, Chatto and Windus, 2003. ISBN 0-7011-7476-5. .
Edwards, Philip. The Making of the Modern English State: 1460 – 1660. Basingstoke and New York, Palgrave Macmillan, 2004. ISBN 0-312-23614-X. .
Flynn, Sian. Elizabeth's Adventurers. // Elizabeth: The Exhibition at the National Maritime Museum. London, Chatto and Windus, 2003. ISBN 0-7011-7476-5. .
Frieda, Leonie. Catherine de Medici. London, Phoenix, 2005. ISBN 0-7538-2039-0. .
Goldsworthy, J. D.. The Sovereignty of Parliament. Oxford University Press, 1999. ISBN 0-19-826893-9. . Guy, John. My Heart is My Own: The Life of Mary Queen of Scots. London and New York, Fourth Estate, 2004. ISBN 1-84115-752-X. .
Haigh, Christopher. Elizabeth I. 2nd. Harlow (UK), Longman Pearson, 2000. ISBN 0-582-43754-7. .
Hammer, P. E. J.. The Polarisation of Elizabethan Politics: The Political Career of Robert Devereux, 2nd Earl of Essex, 1585 – 1597. Cambridge University Press, 1999. ISBN 0-521-01941-9. .
History of Parliament. House of Commons 1558 – 1603 (3 vols). London, Published for the History of Parliament Trust by H.M.S.O., 1981. ISBN 0-11-887501-9. .
Hogge, Alice. God's Secret Agents: Queen Elizabeth's Forbidden Priests and the Hatching of the Gunpowder Plot. London, HarperCollins, 2005. ISBN 0-00-715637-5. .
Hunt, Alice. The Drama of Coronation: Medieval Ceremony in Early Modern England. Cambridge, Cambridge University Press, 2008. .
Jenkins, Elizabeth (author). Elizabeth and Leicester. The Phoenix Press, 2002, . ISBN 1-84212-560-5. .
Kenyon, John P.. The History Men: The Historical Profession in England since the Renaissance. London, Weidenfeld & Nicolson, 1983. ISBN 0-297-78254-1. .
Lacey, Robert. Robert Earl of Essex: An Elizabethan Icarus. London, Weidenfeld & Nicolson, 1971. ISBN 0-297-00320-8. .
Loades, David. 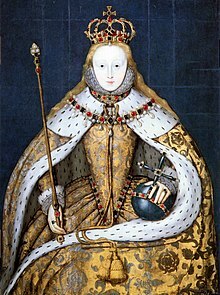 Elizabeth I: The Golden Reign of Gloriana. London, The National Archives, 2003. ISBN 1-903365-43-0. .
Lockyer, Roger. Tudor and Stuart Britain 1485 – 1714. Third. London, Pearson, 2004. ISBN 0-582-77188-9. .
McGrath, Patrick. Papists and Puritans under Elizabeth I. London, Blandford Press, 1967. .
Neale, J. E.. Queen Elizabeth I: A Biography. reprint. London, Jonathan Cape, 1954, . OCLC 220518. .
Parker, Geoffrey. 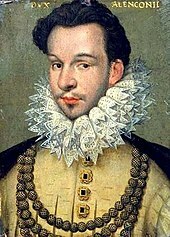 The Grand Strategy of Philip II. New Haven, Yale University Press, 2000. ISBN 0-300-08273-8. .
Richardson, Ruth Elizabeth. Mistress Blanche: Queen Elizabeth I's Confidante. Woonton, Logaston Press, 2007. ISBN 978-1-904396-86-4. .
Rowse, A. L.. The England of Elizabeth. London, Macmillan, 1950. OCLC 181656553. .
Skidmore, Chris. Death and the Virgin: Elizabeth, Dudley and the Mysterious Fate of Amy Robsart. London, Weidenfeld & Nicolson, 2010. ISBN 978-0-297-84650-5. .
Somerset, Anne. 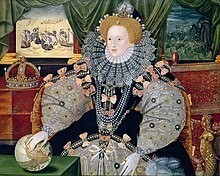 Elizabeth I.. 1st Anchor Books. London, Anchor Books, 2003. ISBN 0-385-72157-9. .
Starkey, David. Elizabeth: Woman, Monarch, Mission. // Elizabeth: The Exhibition at the National Maritime Museum. London, Chatto and Windus, 2003. ISBN 0-7011-7476-5. .
Strong, Roy C.. Gloriana: The Portraits of Queen Elizabeth I. London, Pimlico, 2003, . ISBN 0-7126-0944-X. .
Strong, R. C., van Dorsten, J. A.. Leicester's Triumph. Oxford University Press, 1964. .
Алисън Уиър. Elizabeth the Queen. London, Pimlico, 1999. ISBN 0-7126-7312-1. .
Williams, Neville. 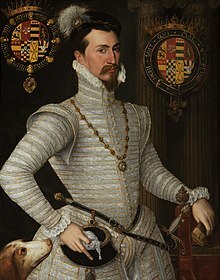 Thomas Howard, Fourth Duke of Norfolk. London, Barrie & Rockliff, 1964. .
Williams, Neville. The Life and Times of Elizabeth I. London, Weidenfeld & Nicolson, 1972. ISBN 0-297-83168-2. .
Willson, David Harris. King James VI & I. London, Jonathan Cape, 1963, . ISBN 0-224-60572-0. .
Wilson, Derek. Sweet Robin: A Biography of Robert Dudley Earl of Leicester 1533 – 1588. London, Hamish Hamilton, 1981. ISBN 0-241-10149-2. .
Последната промяна на страницата е извършена на 22 април 2019 г. в 16:00 ч.